William Town’s 1976 design of the Aston-Martin Lagonda to this day never fails to turn heads or, if it’s standing still, draw a crowd. Created at the end of the wildly creative sixties as that creativity moved into the seventies it was a space age car for the space age. Human beings were traveling into space, we had even been to the moon, the human race, at least in the first world, had their eyes firmly fixed on the future. So William Town’s design fitted with that zeitgeist, and because of that the car got away with having some features that were quite impractical. 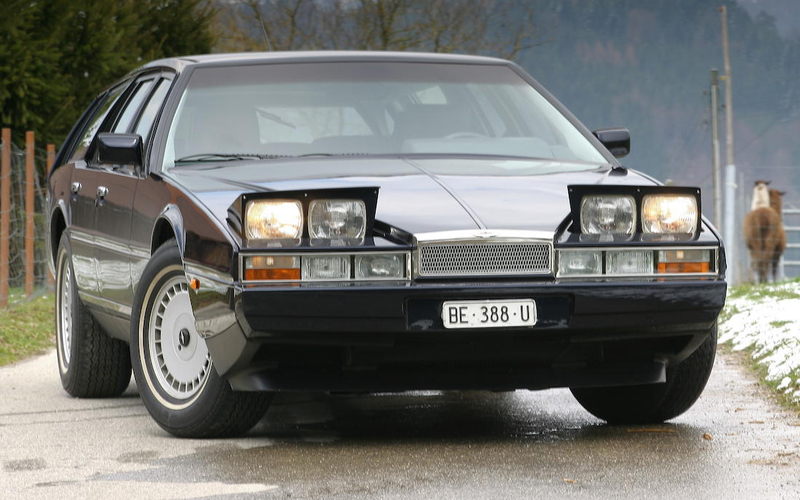 William Town’s design of the Aston-Martin Lagonda was and is futuristic and startling. Practical needs forced a re-think of this future thinking design which was, in its original form, ahead of the technology required to make it actually work. So by the time of the building of our feature car, 1986, the practicalities of having something that was not primarily a rolling work of modern art but also a car that was usable and enjoyably so had come into being. 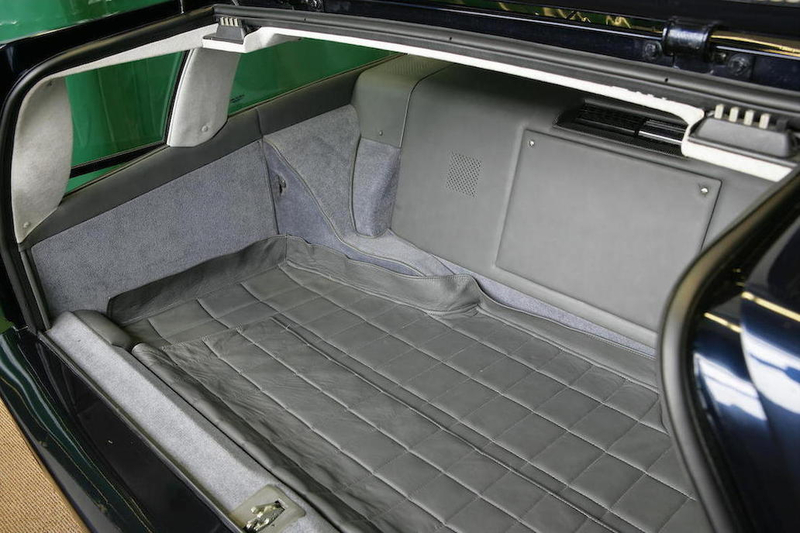 The interior of the “Series 3” Aston Martin Lagonda is not as space age as the original but is ergonomically superior. 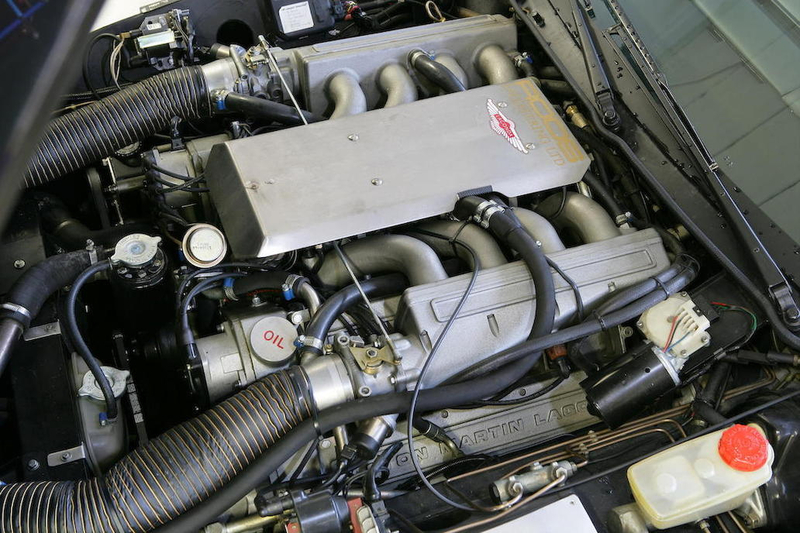 The engine of the Aston-Martin Lagonda was a 5.3litre V8 DOHC fuel injected unit delivering 280bhp at 5000rpm and giving the car a top speed of 143mph. All of this being delivered in the luxurious surrounds of the Connelly leather seats, Wilton carpeting and sumptuous wood veneer. The 5.3litre 280bhp V8 looks fittingly space age. Our feature car is a unique re-modeling of an original 1986 car. 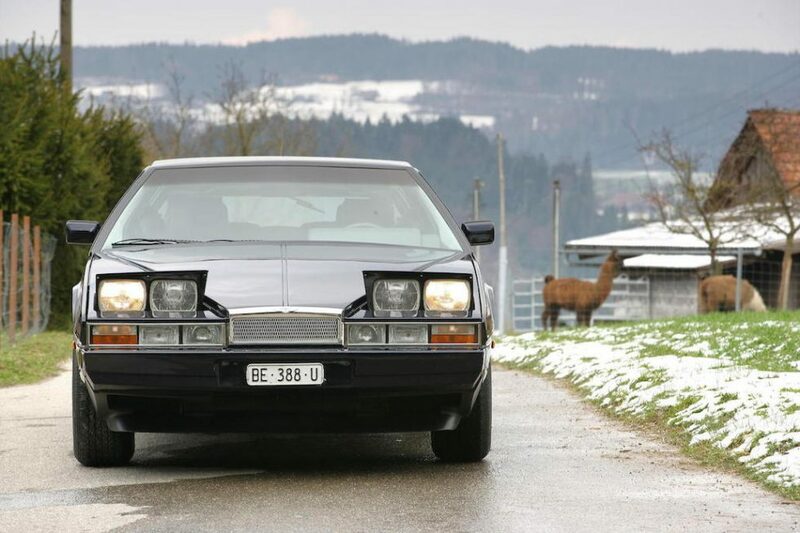 This car’s shooting brake conversion was done by Roos Engineering of Switzerland and is the only one they have done of an Aston Martin Lagonda. 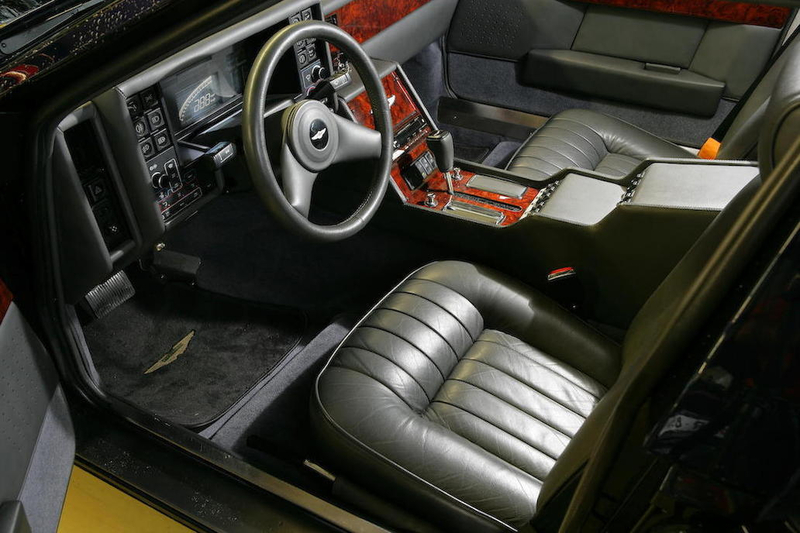 The Roos Engineering conversion of this 1986 Aston Martin Lagonda to a shooting brake is beautifully crafted and completely in style with the rest of the car. This shooting brake conversion was originally commissioned by a Hong Kong customer in 1996. This was a very challenging conversion to do and included bespoke glass for the shooting brake’s rear windows. Practical storage space for guns and related requisites. Some may wonder why a shooting brake for Hong Kong? Is there anything to shoot there? In fact there is limited wild boar shooting there which is necessary as the wild boar are known to harass and sometimes attack people on golf courses, country parks and on some of Hong Kong’s many outlying islands. Nonetheless it is more likely this conversion was done to turn the car into a station wagon without the idea that it would actually be used for shooting. In fact the car’s owner decided to keep the car in Switzerland after its conversion where it has resided since. The shooting brake conversion of this car took four years to complete. This car is coming up for auction at Bonhams Aston-Martin Works Sale on 21st May 2016. You will find the Bonhams auction page for this car with further details if you click here.